Dr. Charles R. Modica, founder and Chancellor of St George’s University, has received the 2017 Mike Fisher Memorial Award at a ceremony in the House of Lords in London. Forty years ago, Chancellor Modica saw an opportunity to provide an international education to talented prospective medical students. The Charter MD class matriculated in January 1977, and since then more than 14,000 MD graduates have gone on to practice medicine in a variety of disciplines the world over. The Mike Fisher Award – given annually since 2006 – acknowledges the work of the late Mike Fisher, formerly of the pharmaceutical company, Merck, whose original research led to the discovery of the drug Ivermectin, which has spared 35 million people in developing countries from blindness and disfigurement and provided domestic animals and livestock with healthier lives. The award was presented to Dr. Modica in recognition of his achievements in founding and developing St George’s University, from a single MD program four decades ago to a University offering more than 53 programs through its School of Medicine, School of Veterinary Medicine, School of Graduate Studies, and School of Arts and Sciences. 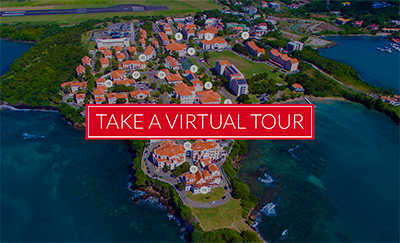 With students and faculty drawn from 140 countries, approximately 20 percent of SGU’s alumni come from Commonwealth countries, with many returning home to practice medicine. In total, Dr. Modica’s efforts have produced over 17,000 graduates in the field of medicine, veterinary medicine, and public health. Many of these graduates have subsequently made enormous contributions to the field of One Health and are working and practicing in more than 50 countries worldwide. 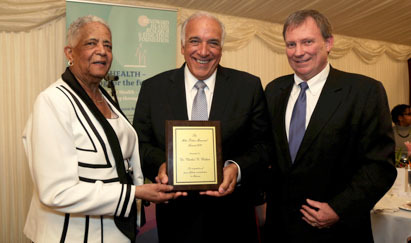 The award was presented at the fourth WINDREF Dinner at the House of Lords in the British Parliament by Baroness Howells of St. Davids, President of the Windward Islands Research and Education Foundation (WINDREF), the research institute on St. George’s University’s True Blue campus.